View of the Wildlife Park ( Taman Hidupan Liar) seen in 1989. 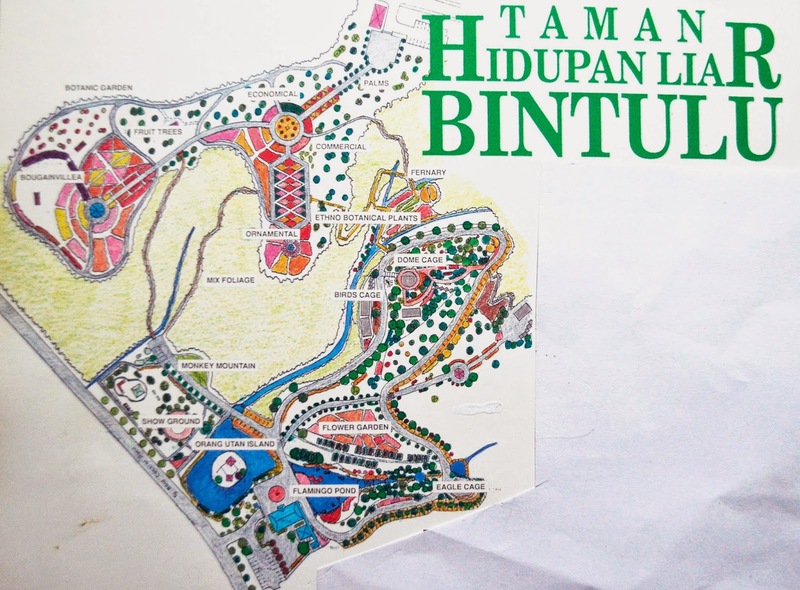 Works on the construction of the Wildlife Park or Taman Hidupan Liar in Malay started in 1989 and the park was officially opened to the general public on the 2nd of August,1991. 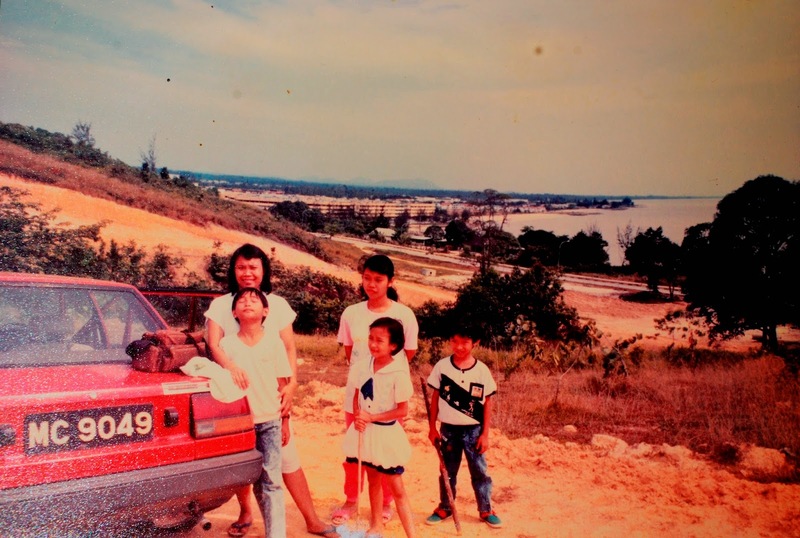 Picture shows my family members and their cousin, with our car driven right to the top of the hill where later the wordings "Taman Hidupan Liar" were planted using cover plants approximately where the car is parked. View of the park taken on 9th of March,2015. Today, the park is re-named as "Taman Tumbina". It was the first and only park of its kind in Sarawak when it was opened in 1991. Today, the park is called "Taman Tumbina" but when it was first started and opened it was known as Taman Hidupan Liar or Wildlife Park. It was one of my pet projects while in the Bintulu Development Authority (BDA). This project brought me places to Singapore and West Malaysia to see similar projects and learn from them. In the park (as shown in the layout plan below) there were many botanical as well as zoological attractions. One of the big attractions was the flamingo pond. Follow this link to know more in-depth story of my role in bringing the flamingoes to Bintulu here . In the top picture, the Bintulu coastline is seen in the background. 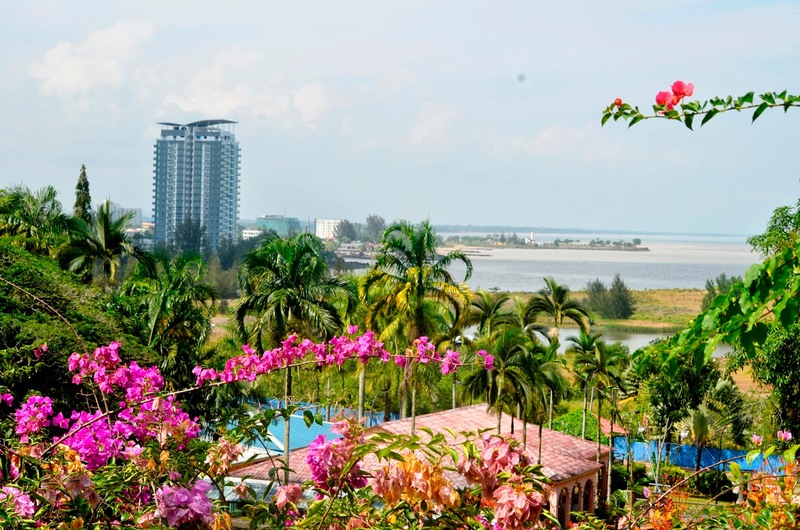 It is evident that that were no condominiums or high-rise buildings in Bintulu in the 1980's along its coasts. The condominiums were a thing of the 1990's in Bintulu. ( Note: The above story is a re-posting from my blog ' Images of Bintulu Before and Now' and the link is here.